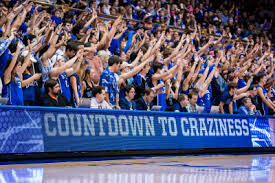 Simply Duke Basketball – Honest & Unabashed Opinions from Long-Time Duke Fans Who Have Enjoyed All of the Ups-and-Downs Thru the Years. No Haters. Always Polite, Please. 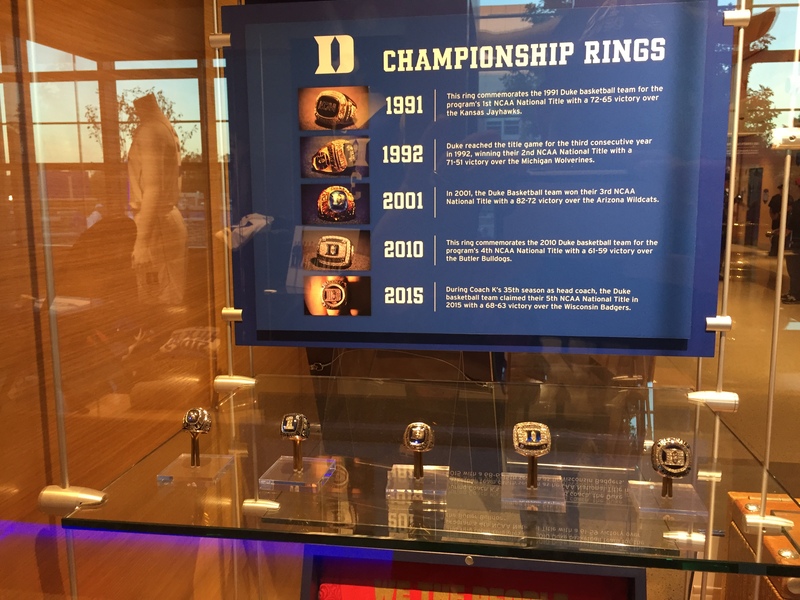 Duke’s 2018-19 Season Has Begun in a BIG Way !!! EDITOR’S NOTE: Since we closed out last season, I have had a rough time health-wise, which saw me admitted to Hospital a number of times, the last being recently. Unfortunately, this last one interfered with my being able to effectively put together our usual Player’s Profiles. My apologies go to both the players and our readers. I pray you will all understand and ask your indulgence. We then begin with the beginning to the new season … and what a beginning it was !!! In any other season, a Duke-Kentucky match-up would mean high theater, and down-to-the-last-minute play to decide the outcome. On Fan-Sided, one of their writers, under a Duke Subject Line, offered, in a ridiculously one-sided article, weaved his way thru why Kentucky would prevail. Au Contraire, my friend. Maybe next time you’ll use a proper Kentucky Subject Line to fabricate your conservancies. The Final Score was 118-84. Duke’s 3 Frosh “Bigs” scored 83 points. 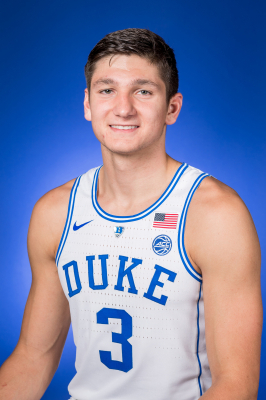 While one could get silly and point out that had Coach K left all 3 Frosh “Bigs” in for the entire game, they would have jointly beaten all those players Kentucky fans gushed over … well, up until Half-Time, anyway. Coach K also started Marques Bolden along with Tre Jones. Bolden, the oft-injured Center, had an outing that impressed me as much as he did when I first saw him, preceding his first injury. He had 4 Rebounds, a Block and an Assist. He had one of those nights that simply didn’t reflect how well he played in his 26 minutes. I’m so very glad to see that !!! Tre Jones did exactly what you want your Point Guard to do – Run the team. 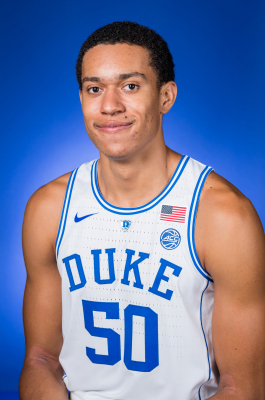 To that end, while Tre acceded to the 83 points of the Duke’s 3 Frosh “Bigs”, his biggest contribution was 7 Assists, a Steal, and his steady, dependable control of his team. 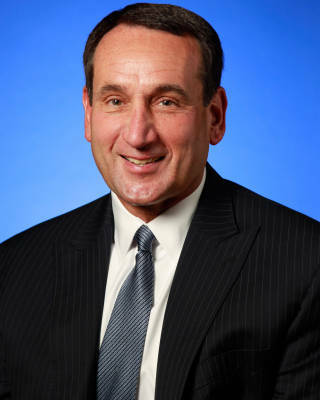 Coach K played his usual 8-man deep squad for double-digit minutes. The remaining 3 guys logged in 11 minutes combined. This best surprise of the night was not the theatrics of Duke’s 3 Frosh “Bigs,” it was the highly influential night Jack White had. The Junior Co-Captain (with roommate Javin DeLaurier) logged a team-leading 11 Rebounds, plus 3 Assists and 2 Steals in 30 minutes on the floor. Javin only played 12 minutes due to 4 quick fouls, but in that time, he logged 3 Rebounds, 2 Steals, and Block. So much for Duke’s supposed lack of depth !!! Duke’s 3 Frosh “BIGS” wowed fans from the very first minute. “Flyin’ Zion” Willamson proved he is everything we were told he would be. I believe that the Score Keepers ought to have a separate column for Field Goals by Dunk to more accurately reflect a player’s game. 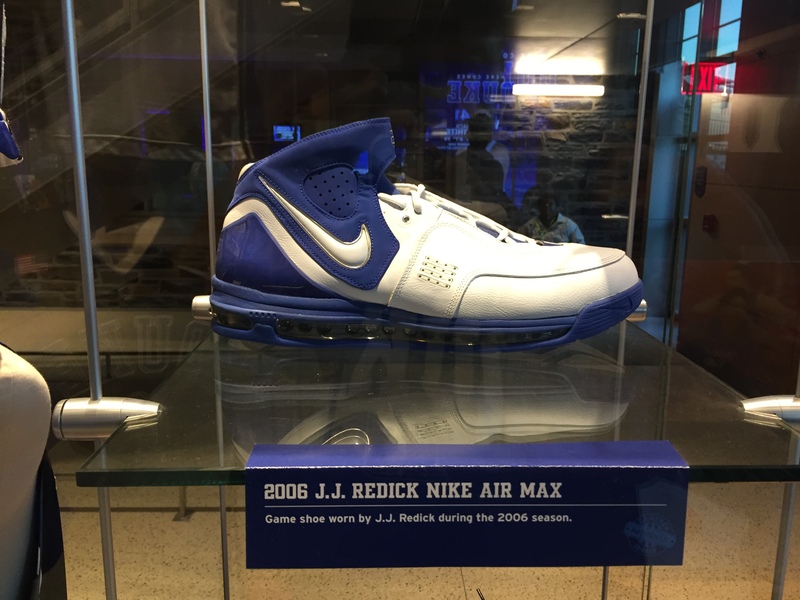 Zion is 6’7″ and 285 lbs with incredible leaps that make one recall players of yesteryear like MJ, Dr. J, Clyde the Glide, or Dominique. Zion is said to have broken the Duke all-time vertical leap record of 40″ by as much as 5″ … Compare that to Wilt “The Stilt” Chamberlain’s 48″ at 7’1″ and 275 lbs. and you will understand my point. 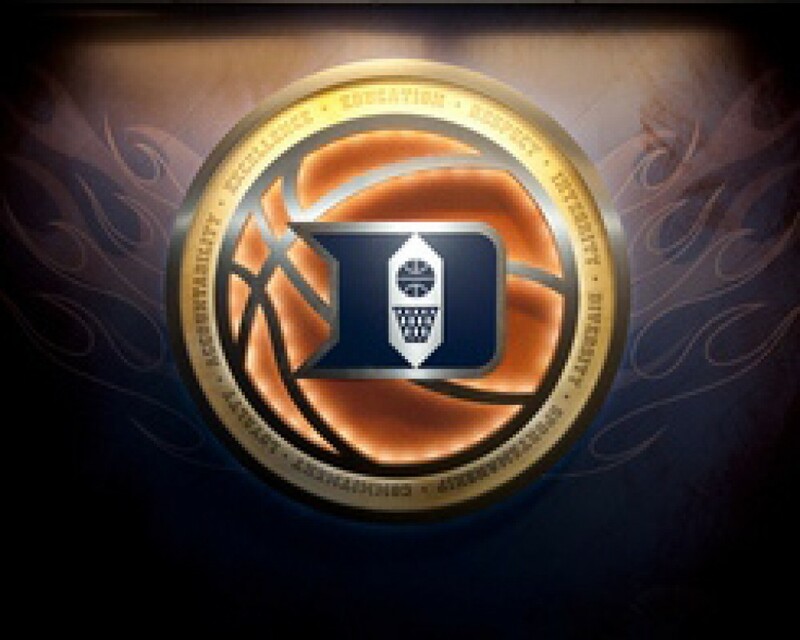 I do not intend to minimize the performances of the other players of the Duke 3 Frosh “BIGS” soooooooooo …. What about Jack White ??? 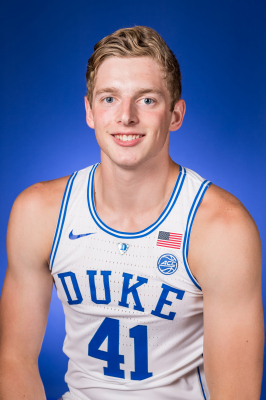 It has been so frustrating watching his time at Duke up to now, rooting for him to get more playing time along with Javin and Alex O’Connell. Jack’s 11 Rebounds led the team, adding 3 Assists and 2 Rebounds. Javin struggled from what appeared to be a case of the nerves in his new position as Co-Captain with Jack, and obviously wanting to perform well. Think of it … That spot Marques landed for this opener seems to be the most viable to be the revolving door for upperclassmen. It was good to see that Alex was recovered from his eye socket injury and subsequent surgery after the Canada tour. 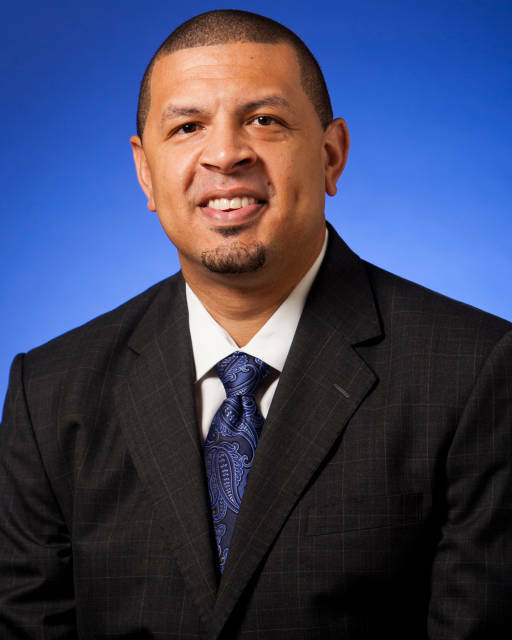 I feel the need to say something that some might consider ill advised, snarky, or even downright unfaire, but I feel it must be said … If I were Jason Goldwire, I’d start fishing for a place to transfer to. He should have gotten that message last year, when he only played 169 minutes, but it was confirmed with this blow-out game, where he only saw 5 minutes. How does that confirm him as the back-up Point Guard ??? The handwriting is everywhere. It appears that Joey Baker is going to be Red Shirted. He’s still supposed to be in High School, but he took some tests, reclassified, graduated a year early, and came to Duke. The Red Shirt will allow him a jump academically, and will allow him to emerge in an advanced spot on the team next year. I left this comment for last because it is something of a Red Herring for the “one-and-done” era, who caused Coach K to embrace a Zone Defense. The reasoning is that kids are more interested in their highlight videos than in working on their defensive skills. 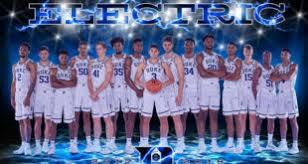 This year’s team actually looked quite good with their efforts to play “man-to-man.” So, while Coach K seemingly succumbed to a Zone, it was more to accommodate his rotisserie of Starters and Upperclassmen as he looked for other firm candidates for that 5th position that Marquis occupied on this evening. 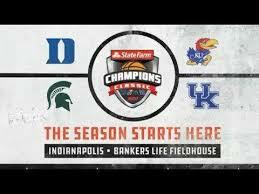 Duke is in an enviable place at this, the earliest point in the new season, amongst the rest of Division I schools. Coach K has assembled a fine group of young men who seem to genuinely enjoy each other and want to see the other guy excel. There is no contemptible personality exhibiting the “Hooray for me, and the hell with everyone else” and I couldn’t be happier. If you have not yet seen the documentary “Earn Everything,” I heartily recommend it, even if you have to use up your 7 day free offer to ESPN+ via any of the streaming portals. I already had ESPN+ because I’m also a Seria A Italian League fan and after to watch it all, you will understand why I am so high on it. Suffice to say I think that the last team that might have done something like this, attitudinally, might have been that wonderful 2010 team. Interestingly, that team is pretty well represented on the Bench right next to Coach K in suits. e always welcome comments, conversations, and debate as long as it is polite and within proper decorum. Thank you for your contributions and patience during my time of need for understanding. I hope I have included much of what you submitted in this article. If not, I’m sure your points will be woven into future pieces. Antonio was recruited to Duke by Nate James 2 years ago. This year as a Junior, he is listed as a 7′ 269 lb Center who will again wear #30 for Duke. Last season, Antonio played in 13 games, averaged 7.8 MPG, 2.5 PPG and 2.6 RPG. From the bench, he was one of the most vocal leaders and maintained a great attitude. Like his father, Stojko, Antonio fills out a solid physical like a statue. Stojko played in the NBA for 5 seasons in the 1990’s and in 2 Olympics for Yugoslavia. As Marques Bolden returns at Center and a strong roster of 5 Forwards, it is questionable Antonio will see more playing time. 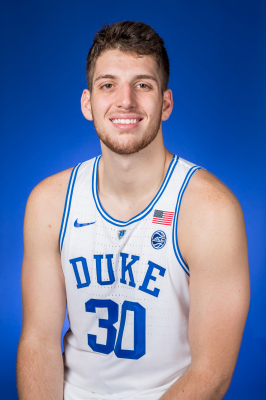 If Duke plays big, then we may see Antonio play more minutes with the second group, however, he needs to improve his aggressiveness on Defense and Free Throw completions. In a couple of games last year he showed flashes of his Defense and Offense skills on Blocks and Put Backs. We expect the coaches to draw on his leadership in practice, and off the court to help out with leading the 8 Freshmen. Antonio’s hometown is listed as Zagreb, Croatia; he was born in Minneapolis and is the son of Stojko and Lovorka Vrankovic. He has two older sisters Andrea and Matea.